Jean Loo, co-lead of early childhood development at the Lien Foundation, has met countless special needs children. Each child has left a vivid impression on the vivacious 34-year-old. It’s children like Calynda, Zixuan and Rinn that inspire Loo every day. But not everyone is able to meet and interact with special needs children. Due to their differences, neurotypical children rarely interact and play with special needs children. Can the law deal compassionately, yet effectively, with those with special needs? 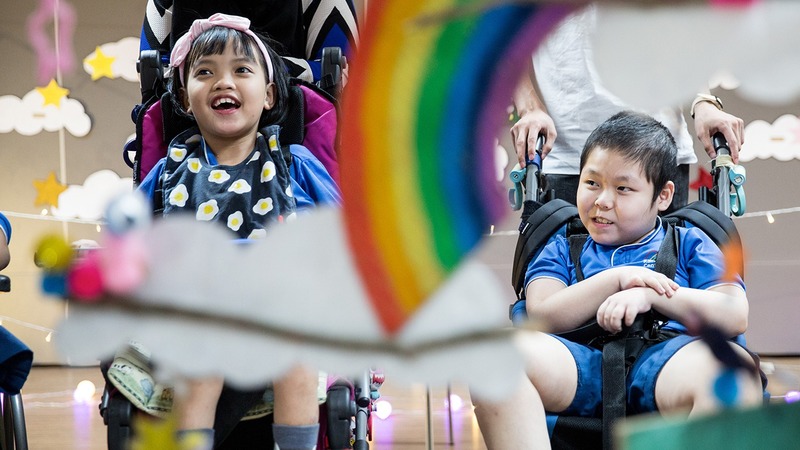 PEEKABOO!, an inclusive arts festival organised by ground-up arts movement Superhero Me in partnership with social service organisation Rainbow Centre, which provides special education (Sped) services, is hoping to change that. The culmination of a five-month arts residency programme involving six artists and 20 arts facilitators, PEEKABOO!’s mission is to bring children alien to each other together, and foster social interaction between them. It also seeks to explore themes of identity and place in the world. This project is not new to Loo, who’s also a co-founder of Superhero Me, and a community artist herself. Among the artwork that will be on display at PEEKABOO! is one that tackles the idea of dreams and possibilities for young people with special needs, something that Ian Loy, of local theatre productions company My SuperFuture Theatre, wanted to find out. Sparked by curiosity, he collaborated with a graduating class of special needs students from Rainbow Centre to conceptualise performance art piece, What Dreams May Come, building on their aspirations for the future. Loy’s motivation behind What Dreams May Come was simple. “I wanted to know what special needs children actually want to do with their passions and desires,” he shared. And, although life in Singapore may be harder for such children, Loy didn’t let that discourage him. “Their dreams are possible with the help of people with big hearts and who are understanding,” he insisted. Even so, Loy conceded that as he worked with these special needs young adults, it was a little more challenging than usual to bring the project to life. “I thought I was ‘prepared’, as I had worked with other special needs institutions before, but it was still a very different experience,” he admitted. The Lien Foundation’s Inclusive Attitudes survey in 2016 found that while nearly two-thirds of the respondents polled said they were willing to share spaces with children with special needs, they were not willing to interact with them. “From conversations with the parents we work with, the struggles include being accepted into a community, growing up with other children who don’t have special needs, and finding a suitable job, especially after 18 years old, when children with disabilities are discharged from the care of Sped services,” said Loo. But she believes we can “raise our expectations and develop more optimistic convictions about the abilities of children with special needs”, and change society for the better. “For starters, we can actively reach out to people with special needs in our own communities,” she shared. More importantly, beyond efforts to change society’s attitudes towards special needs children, PEEKABOO! also hopes to inspire Singaporeans to embrace inclusivity and rethink the way children of different abilities can interact, so that some day, they may learn and play together as one. PEEKABOO! runs from Mar 9 to 30 at Rainbow Centre. In addition to ticketed shows, there will be free scheduled guided tours every Saturday.